This is a rat (or probably squirrel) found in a photograph taken by Curiosity Rover on the surface of Mars. Is it an evidence of life on Mars, or has NASA left any rodent there to test the scope of life? Curiosity photo shows a lizard on Mars. Certain pictures taken by NASA’s (National Aeronautics and Space Administration of U.S.) Curiosity Rover on Mars went viral online in the past. While one story said a photograph of NASA shows a Rodent (Rat) or probably a Squirrel in between rocks of Mars, another claimed to show a Lizard kind of creature in yet another picture. These ‘discoveries’ also raised questions about existence of life on the red planet Mars. So let us study facts about these claims. On 4 December 2012 Scott Waring from UFO Sightings Daily website UFOsightingsDaily.com posted the story about what he felt looked like a Squirrel poking out between two rocks in a NASA picture snapped on 28 September 2012. This claim went viral online and the Squirrel became a Rodent later. The NASA description of the original picture (second one in Image Gallery) only calls it a “Rocknest” site with sand and dust downhill from a cluster of dark rocks. Another picture on Mars (fourth picture in Image Gallery) is claimed to show a Lizard. Again, the UFO Sightings Daily website reported this existence of a Lizard on Mars, claiming that it was discovered by a person in Japan in March 2013. The picture is actually from a set of raw images taken by NASA’s Mastcam on 20 Feb. 2013. And no, it does not look like a lizard or any living creature; it is again a rock formation that appears like a lizard in that particular photograph. What is claimed to be the long tail of the lizard actually appears to be a narrow lighted path, and what is claimed to be the eye of the lizard is actually a black spot which you can also see elsewhere in the picture (sixth picture in Image Gallery). 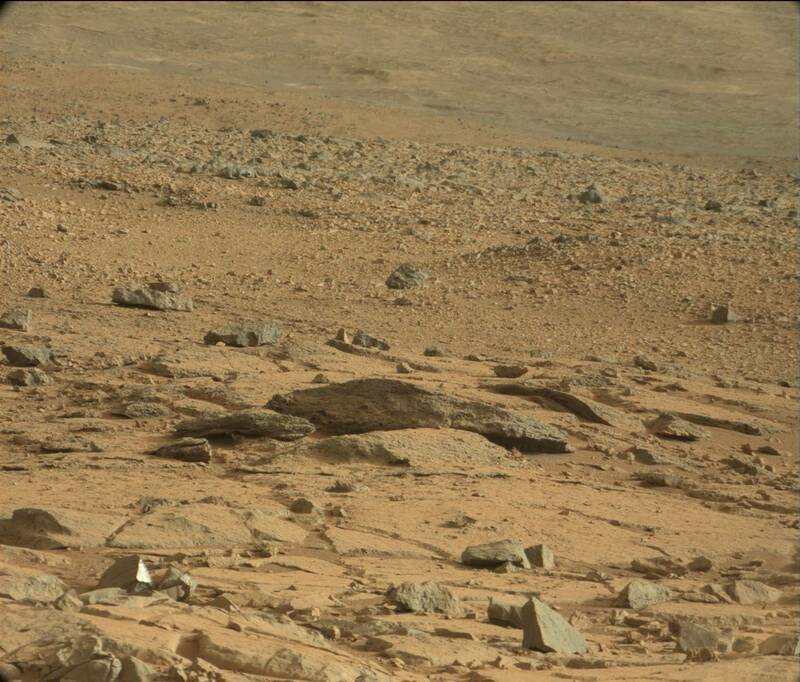 So again, this just seems to be a rock formation out of erosion, and not a lizard on mars. Scientists also point that such claims are not new, and are in fact the result of a psychological phenomenon called Pareidolia, which is the human brain’s tendency to spot familiar things in random pictures. Speculations, especially from conspiracy theorists suggest that NASA could be conducting secret experiments by leaving such animals on Mars – to test the scope of life. They say that people are not aware of this, because the animals left there would eventually die and that would make PETA (People for the Ethical Treatment of Animals) to fight against NASA in court of law. According to NASA, 95% of Mars atmosphere is Carbon Dioxide and only a trace amount of 0.13% is Oxygen, which is not enough to sustain animal life on Mars. NASA is not interested in these space lizards and rodents that they say do not and cannot exist; they are in fact studying on the possible existence of Space Microbes. So as of this writing, no life is discovered on Mars. The main source of the claims in question is from UFO Sightings Daily website, where you can also find another article mentioning a Google Earth discovery of ‘Alien Face hidden to look like mountains in Canada‘ (last but one picture in Image Gallery). But as a matter of fact, Google Earth has recently introduced a new feature called Google Faces that scans satellite images and searches for faces hidden in the world’s landscape. As you can see in the Image Gallery, the last picture captured in the mountainous region of Magadan Oblast in Russia appears like two Human Faces. To conclude, the claims of discovering a rodent, squirrel or lizard in NASA’s pictures taken on Mars are hoaxes, they are mostly rock formations out of erosion. But in case the conspiracy theorists are right about NASA’s secret experiments, the percentage of Carbon Dioxide and Oxygen on Mars is not what NASA reports us and indigenous animal life might exist on Mars.